Fellow seekers of truth be mindful that these are the end-times of an age or great cycle, and there is a need to prepare in many ways. Not the end of the Earth or the end of all mankind is meant, more like a time of great tribulation. A shift of the Earth's polar axis, and return of Christ is predicted. Cayce could be walking the Earth now as a young man about to step on history's stage again to ease the transition. If there is a John in the audience, that has psychic experiences, contact me please. The Bible can be interpreted that 1,000 years on Earth is a day or Time in Heaven. In about 500 BC the Prophet Daniel stated clearly that the Lord would return after two-and-a half Times. Jesus said 2,000 years ago that He would return after a time and another time. Astronomy is the best guide to dating events, it is there that the best guess on the Star of Bethlehem event is 3 BC. With a little math we arrive at 1998! There wasn't a zero year. Ages end in destruction, alternately by fire then by water. This generation is reserved for fire. It is no more fearsome to be killed by fire than water. Our lives in the mental and spiritual planes are eternal, and immortal. Fear is the only thing to fear. David has said, 'that which I fear has come upon me'. All we can do is read the prophets and get right with God, and make any preparations as are needed to heed the advice offered. It may well be that those believers who survive the next 5 years may walk with the Master for an additional 1,000 years, here on Earth, as the Golden Age begins in Aquarius. Those who enter the (Vineyard) Lord late are paid the same as those who came early! It doesn't matter what race, religion or faith that we belong to - it is the same God, and we are more alike than different. Anything could appear here, as the muse moves me. There are many ways to find God, there are many things that aid the attunement also. The torch and the staff are symbolic for initiation and the Good Shepherd, a worthy search for mankind. We must study to be approved by God. There are many great mysteries that man must perceive and solve to advance. A vote of confidence in your favor by the still small voice within makes for a happy day. When we feel guilty we feel terrible. What goes around comes around, literally. When we meditate like clockwork, on a regular basis, the faint become strong, and the blind see. You can know if you are saved or not, while still in the body. The Light is the confirmation! Like a loving father, He watches over us. If we hunger, He knows. If we are moaning in pain, He knows. And He knows if we have been good or bad, every atom of the Creation absorbs expression, certainly the Earth and the Sea will testify about us. Even blood cries out! He put the greatest force in the smallest thing, the atom. We must act like believers, in as strict an observance as one is able. Read the Scripture with as much fervor as grandpa's will. Could it be that some wonderful event happens in the east in the spring, that we unknowingly celebrate as Passover and Easter? Scripture and Book Reviews will appear here in the future. My library is loaded with interesting books, on many diverse subjects, that will be presented with some commentary on the work. Edgar Cayce stated that gemstones collect and store beneficial cosmic energies, and by wearing them these subtle energies return the body to health, protect it, and open the sacred centers to wholeness. Did not Jacob lay his head upon a stone, and dream a ladder was lowered from Heaven? Please consider the significance of the 12 gemstones of Aaron's Breastplate, and the similarity of Revelation's 12 gemstones in the foundation walls of the New Jerusalem. Of gemstones the amethyst is known for healing, and the pearl for its calming effect. The malachite protects. Azurite is the lapis lingua, or talking stone, of the ancients, and Cayce said it was a touchstone for sending blessings. Lapis lazuli is for spiritual growth. The ruby and blue diamond attune with infinity. Some are best worn as rings, others around the neck or wrist. The Cayce Readings refer to 22 gemstones of power. Cayce said the clearer, the whiter, the better. Crystal is very good. If anyone has difficulty finding the gemstones mentioned in Holy Writ or the Cayce Readings for their virtues and mystical powers, please email me with your request, stating either the gemstone or the quality sought, they are very affordable! 36" necklace of polished gemstones from $6-$15 !!! The literature doesn't cover this point well, so I will advance it myself for consideration. Edgar Cayce once in trance saw himself in the garb of Hermes, whom the Romans called Mercury, messenger of the gods. He wore a message pouch and flew. Possibly this was a visit from deity as happened so often in mythic histories, or was Hermes also a former incarnation of Cayce? It is my belief that the Bible was written on several layers of understanding, and often the literal meaning was the least important. For this reason we must be careful with translations and modern wording. It was said well that the baby was thrown away with the bath water. It is there we later turn for confirmation of new understandings of doctrine presented with less veil in other books, due to early censors. It has been written that the two-volume set of the Secret Doctrine by Madame Blavatsky was on Einstein's desk the day he died. It wouldn't be a great surprise given how vocal he was on God's mysteries. Neophytes may be alarmed at how sure and forceful this mystical woman was, and by the blunt way she delivered her bombshells - but continue on. It is a very large compendium of information on just about every important thing this brilliant and initiated woman could conceive of, limited somewhat by what she was allowed to divulge at that time in human evolution (about 1890). It was her that told Keely that the world would be destroyed if he revealed his discoveries to mankind, so Keely announced to the world that his discoveries had not been a "commercial success". When in truth he had made a disintegrator, also an anti-gravity device, and motors that ran on air, water, atoms, or aeither. It must be very rare for one person to have such a good understanding of music, mathematics, and physics. His discoveries will make interstellar travel possible. The Secret Doctrine is available from our online bookstore. Briefly, a seeker is hampered by the tremendous errors made in our time keeping, and calendars. Scripture gives us that the day begins with darkness, then there was light the first day. Consequently, the day begins at evening, also called sunset. The year begins with the New Moon after or near the Spring Equinox. Study the lore of the stars and planets, and realize that these are not dumb fires, but hosts to mankind! There is a Communion/Passover held in the stars, with bread and mixed wine, the best slice is amidst the three. Earth is the classroom and place of exile for souls who have not met the mark. All of us here are sinners. We have been returning to Earth time after time for millions of years, trying to solve the mysteries and to become virtuous enough for God's Grace. It is most often those stressed by the world, who because of their choices and conclusions do not fit in, the free thinkers and non-conformists, that are called by the Lord, or are given psychic gifts, or mystical powers. This is brought out most clearly by William James in his book, the "Varieties of Religious Experiences". Through patience, right-thinking, study, and meditation, line upon line, precept upon precept, the light we circulate within becomes brighter and more informative. The will-power makes the emotions the gas pedal! Fasting is a way to quicken oneself. I visioned an old key circling ccw! The Earth is Virgo's Footstool. Benjamin is the many-headed Hydra, with his Sack. The Big Dipper pours-out wisdom, and Blessed is the land that they are over in the early evening hours, as civilization marches westward. Personally, I believe the moundbuilders were of a much earlier time period than that given by archaeologists, about 1100 AD. The use of copper with no bronze suggests the Copper Age, prior to 3,000 BC. The copper swastica found in an Ohio mound reminded me much of one found in the lower levels of Troy of that earlier era. How can one pin a correct date on such stone or metal objects, which can as easily be 10,000 years old as 1,000. In a similar vein, the cliff dwellings of the southwest could be much older than the tree-ring readers give, since those variations in the rings are tied to the 22 year sunspot cycle. Since trees cannot grow now where these were grown, I suggest it was a geological age ago, not 900 years. The same professional curtesy of acceptance of what preceding experts had said about the antiquity of a site or object can be seen in the dating of Mexico's antiquities, wherein most of these many diverse cultures were thought to date from 800 AD. It is not difficult to believe that one of the temples at Yucatan dates from 10,000 BC. The common early practice in the Americas of binding the head to make the head flat comes from trying to imitate the head-shape of the Atlanteans, who were also of the red-race, and said to have the backwards projecting skull. The souls of man equal the number of the stars of heaven. Upon our perfection, our soul may be destined to enliven it's own solar system, and teach and nurture the material creatures upon its spheres? This is hinted at within Scripture, and openly confirmed by Plato. Mankind must share a common mind one with another. As Nature shows us with bees, ants, and the synchronous movements of birds and fish. Within this fourth dimension still exists every thought and emotion. Like grapes on a vine we give and take from the whole. The common language must be of universal symbols and patterns, thus by right brain perceived. Remember how the Patriarch crossed his hands when blessing sons and grandsons? It is because we are the mirror image of our Creator, that our wiring and plumbing are reversed! The subtle bodies are in a figure-eight. The left side of our bodies connect with the right brain. Noting that the great masters usually paint with the left hand, I suspect it is our holier hand. When man sets aside anger and violence he may progress in the right mind. Perfection is not yet, it is the balance and unity that man seeks. Although the worship of graven images is not permitted, I must remark that the ancients came closest to the Deity when they portrayed one who shared both genders. The many will reject even true philosophies, so it will be pleasant if these efforts help even one to look within for confirmation and to pray, as Soloman, for understanding. There is an old hag that is known to disturb the dreams of seekers, with her riddles and questions. Answer well. There is our house on top of the hill in total ruins. Lay the Cornerstone and build the foundation walls, and make ready. Must we all wrestle the angel or devil? We are cleansed by the proper circulation of our love light within. Most are turning the wrong way. To be out-of-body is to be with God, says Scripture, and we return to a clean house. Our Lord would leave the 99 to save 1, none shall truly perish, not one. Time was allowed to permit each of us to reach Heaven. But it could be centuries between each opportunity in the flesh. Why not now? Don't be afraid in the troubles ahead, each will be quickly jerked out of body, to spare us pain. True New-Age has absolutely no connection with satanism, devil worship, the black arts, or in anyway harming another. Although some webmasters do lump them together. Mysticism is merely an advanced form of Christianity. All methods and mechanical means are permitted in finding the way to Heaven, as long as another is not harmed. Woe to the legislators who take away these rights. Everything is good in moderation. Incidents of life and phenomena are true enough to those who witness or experience same, but unless the frequency of occurrance touches every family or acquaintance group, the tendency is to not believe, this is very human and understandable, never-the-less we are expected to make the first big step on faith alone! When you don't need any proof an abundance of it is given to you. Woe to the sceptics. This cycle began near the time of Daniel, about 500 BC, and is the end of the 2500 years of Pisces. Christ being the alpha/omega might mean that we are also at the end of the great circle of the zodiac, about a span of 25,000 years. The end of these cycles or rootraces is destined to be a purging of the world, ultimately by a shift of the poles, which happens quite frequently on Earth. Our great civilization represents the lowpoint in mankind, the clay feet of the vision. How ironic! The descendants of the Atlanteans built the Great Serpent Mound of Ohio. This effigy mound is a quarter mile long. Cayce said that it represents Time. After studying it at length I can see what Cayce meant. The serpent uncoils counter-clockwise, and has four loops in the length of his body, representing the four rounds of Earth. It's mouth is opened wide to swallow an egg. The meaning of this may be that this age is over when the poleshift makes the star Vega (the egg) of Lyra, the new pole star. Everyone must protest the continued destruction of mounds, standing stones, and other landmarks of the ancients, as advised by Scripture. Some states have used mounds for road fill! Others gave way to the plow, and are now cornfields. What short-sighted vandals, to ruin their greatest asset! Note the way the dawn burns off the morning mist, as it makes its glorious ascent. Similarly it affects the mind, as it rends from the top, and down the middle, the veil. Dawn is the best time of the day, just as Spring is my favorite time of year. The New Moon and the Full Moon are Holy Days. Find the Garden of Eden, the Serpent, the Tree of Knowledge, and the Tree of Life - all within, as well as the northern stars. There are 7 branchs, with the best fruit at the top - meet John Penial. When we read an engrossing book, we are thinking the same thoughts as the author, our minds meet in the fifth dimension, assuming time is the fourth. Eruption of Mt. Pelee is an alert to the midwestern USA to standby for earth changes affecting several states. When Mt. Etna explodes it is the signal that California will soon be gone. Climatic changes have already begun, note the record floods, and the multitude of tornadoes and hurricanes. This Earth and everything on it is made of star stuff. About a foot of star dust falls to Earth from space every century, maybe thats why the pictures sent back from Mars look so familiar. There was another planet in our solar system, whose orbit between Mars and Jupiter, is now called the Asteroid Belt. Its destruction may have been the cause of the extinction of the dinosaurs 65 million years ago. The destroyed planet's orbit, shall we call it Aster or Septimus, or another, was predicted by the Fibernaci Series of numbers that are generated throughout nature. When expressed in the royal Egyptian cubit or the long cubit of the Hebrew, it was too big of coincidence for the Asteroid Belt to be that exact distance from the Sun. The series runs as follows: 1,2,3,5,8, 13,21, etc. These numbers can be seen in the sunflower's seed-rows and in the delicate spiral of the vine. Those living in coastal Georgia or the Carolinas should know that Cayce said that area would sink below the Atlantic Ocean in a twinkling of an eye. The geological surveys show the instability of the Blake Plateau, where currents have undermined the coast for 10 km, and show a major break just resting against each other. Check the link to the data on my home page. I think science supports Cayce here, and I would advise relocation. Behold, faithful ones, the import of the Sign of Jonah! One day when you most want to flee...stay low and protected for a full three days and three nights... then go! Among us most assuredly walk angels in disguise. Some among us have lived thousands of years, and not died, according to the Bible. Is John still at the old address on Isle of Patma? All of this is in my humble opinion. It is not too soon to gather survival needs and to make your plans in order to protect your family, this means you if you are mortal and on this Earth! The most fortunate ones will be in the mountains, or in caves, or in the right place at the right time. We are expected by faith to follow the good prophet, and those who speak of Him that have good fruit. A thing can rightfully be believed if given on the testimony of two witnesses, we are taught in Scripture. To understand your own Scripture look to that of others, in faith, because there are no orphans. In any emergency we require a supply of food and water. Iodine tablets are very important to have. Fallout radiation dangers are reduced by having iodine in your system, besides they purify water. If you have not moved out of low threatened areas of high population, you had better make a plan, Stan. Four-wheel drive will be life savers. Each person should have two sturdy plastic gallon jugs with screw caps for water. Places not to be during the next few years are the west and the southeast coasts of the US, Japan, Mexico, low northern Europe, and especially not in NYC, Charleston, Mexico City, Los Angeles, or New Orleans. Those living south of the Great Lakes in low areas or along rivers will be in danger when these lakes have a new outlet to the Gulf. Astounding Free Contests! Free Webmaster Goodies! Index: FreeStuff Goodies! Amazing Free Money Online! Win Free Vacations! 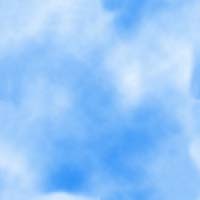 Free Midi Playlist! Mystical Stepping Stones! Index of Cayce Readings! Amazing Free Stuff Goodies! Weird Science & New Energy! Cayce: No Fuel Motor 1! Astounding Ancients! Free Screensavers! Cayce Predictions! Ancient Egypt~Psychically! Cayce on Cancer 1 & 2! Cayce: Buried Treasures! Lusitania: Gold & Ghosts!